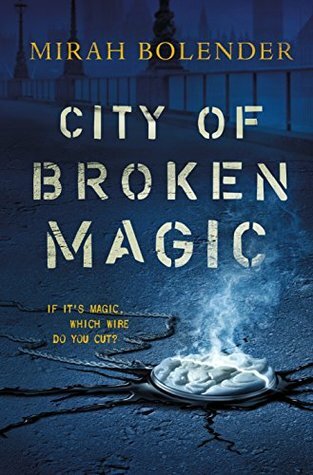 Mirah Bolender’s fast-paced, adventure fantasy debut, City of Broken Magic, features a bomb squad that defuses magic weapons. Five hundred years ago, magi created a weapon they couldn’t control. An infestation that ate magic—and anything else it came into contact with. Enemies and allies were equally filling. Only an elite team of non-magical humans, known as sweepers, can defuse and dispose of infestations before they spread. Most die before they finish training. City of Broken Magic by Mirah Bolender is the first book in the Chronicles of Amicae fantasy series. The series is set in a world somewhat similar to ours however society and the use of magic are certainly different. For the last five hundred years sweepers have been cleaning up after a weapon that was created and went out of control. When magical amulets run out or are broken creatures are unleashed that feed upon whatever is in their path whether it was the enemy or alley. Laura has convinced head sweeper Clae to take her on as his apprentice and teach her the way of the sweepers. It’s uncommon for women to be in the work force so Laura has to work twice are hard to prove herself in the dangerous trade where most apprentices are killed before they complete the training. As one can tell from my rating this one just wasn’t for me and that was unfortunate because the magic use and world seemed to be creative. The thing that got me with this book was it was definitely not fast paced as advertised. For example, the book starts off with an infestation that takes the first two chapters to battle and at only 27 chapters in a 400 or so page book this was quite some time. It’s actually taken me three days to get to the end which is so out of the ordinary for me as I kept losing interest and putting it back down. Perhaps those that enjoy a slower build would like the world more than myself though but I will have to pass one continuing with the series. 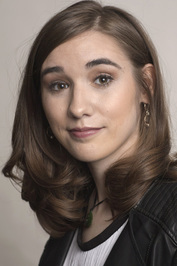 MIRAH BOLENDER graduated with majors in creative writing and art in May 2014. A lifelong traveler, she has traveled and studied overseas, most notably in Japan, and these experiences leak into her work. City of Broken Magic is her debut fantasy novel. She currently lives in Milwaukee, Wisconsin. Oh dear, shame this was so slow paced. Great review! Oh I’m sorry this one did;t work for you… too slowly paced and a story just loses the reader. What is with these slow-paced books that are supposed to have us on the edge of our seats? Too bad this was another miss for you Carrie. Thanks Carla, I seem to be on quite a streak finding them for sure. Hope that is the last one for a while.